Aug 15, 2017: Best way to install a phone charger? Sep 20, 2017: Which car charger are you using for your Pixel ? Oct 08, 2017: Recommended 3rd party chargers for Pixel 2? 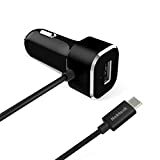 Feb 07, 2019: TESTED and SAFE USB-C Car Charger? ?